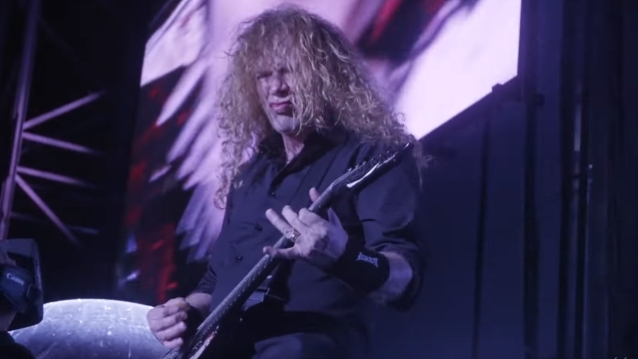 MEGADETH's Dave Mustaine spoke to "The Opus" podcast about his participation in the upcoming "Experience Hendrix" tour. You can listen to the chat at this location. The critically acclaimed multi-artist celebration of Jimi Hendrix's musical genius is returning in 2019 with its biggest ever tour — 30 dates through the East Coast, South and Midwest. What began as a single-show tribute at the Rock And Roll Hall Of Fame in 2000 has blossomed into a full-fledged concert experience that has thrilled countless fans across the U.S. The tour presents a host of great artists collaborating and interpreting Hendrix's legendary songs as part of a powerhouse, three-hour concert experience. Asked how he got involved with "Experience Hendrix", Mustaine said: "Just like doing the classical performance with the [San Diego] Symphony [in April 2014], it's getting out of my wheelhouse. When these guys asked me to do this, I myself was very flattered, because, to me, Jimi is the status which I aspired to be my whole life. I wanted to be a guitar legend, and granted, I am considered a legend right now, but I still think Jimi is so much more grand than I am. I love his legend, I love how people revere him, and this is one of the, if not the most flattering thing outside of MEGADETH I've ever been able to do." This year's "Experience Hendrix" concerts will bring together artists as disparate as guitar wizard Joe Satriani, blues great Taj Mahal, Ernie Isley and Dweezil Zappa. 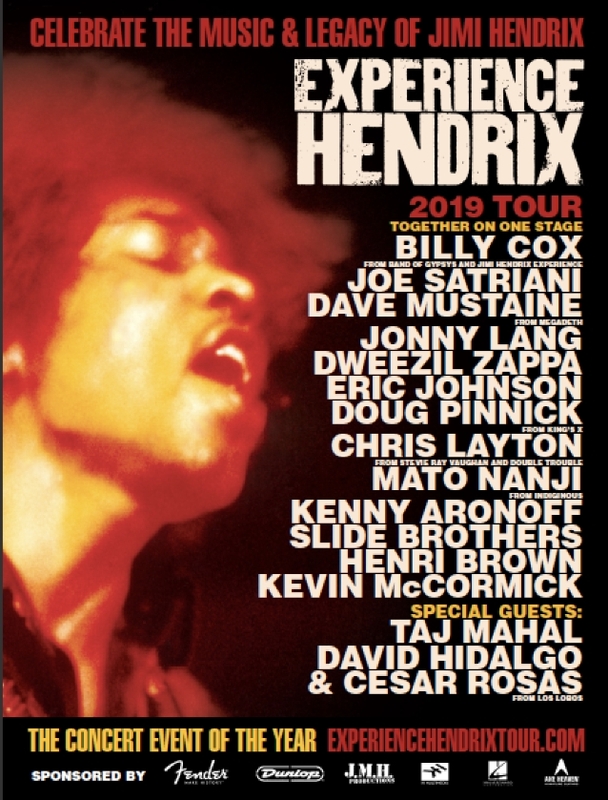 Mustaine will make his "Experience Hendrix" tour debut while mainstays such as Billy Cox, Jonny Lang, and Eric Johnson will also be on board for the expedition. The "Experience Hendrix" tour offers fans a rare opportunity to see many highly regarded players performing together in a unique setting.